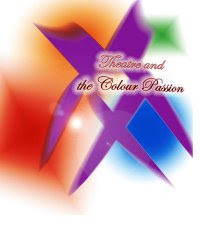 This is the first podcast for the Theatre and the Colour Passion a facebook group/club that wants to expand the reach of theatre everywhere, especially in Perth. It's like a book club except we go to theatre once a month and discuss it afterwards with a Q&A and a podcast with some of the members. This podcast series, as with all things at Jimmerish FM is a bit of an experiment. We'll be having discussions of the most recent show that we have been to see, talk about what is happening in Perth theatre in general and include a recording of the Q&A from the show we saw. Have you always wanted to see more Perth theatre but didn't always have a group to go with? Join the facebook group now and come along, its a good night out. The next show the group is going to see is Equus on the 22nd September so join the group and get your discount tickets! Joining me for this podcast is Mischa Ipp and Georgia King. The show we went to last month was The Importance of Being Earnest by Oscar Wilde at the Subiaco Arts Centre put on by Bare Naked and Class Act Theatre companies. Get more info about the cast, crew and production at this link. Have a listen to the podcast!